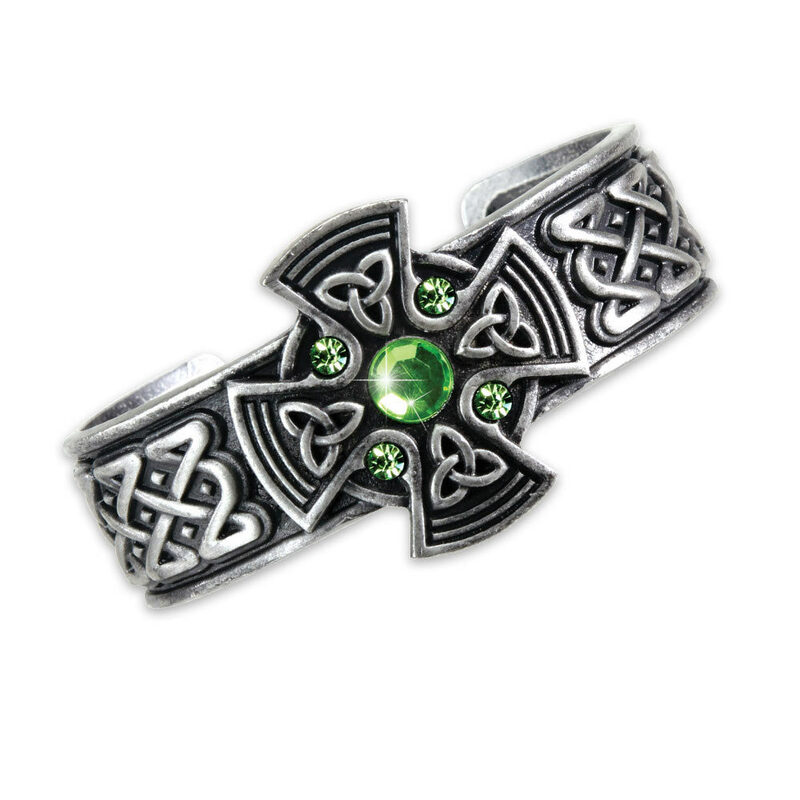 Lead free pewter bracelet features Celtic shield design and traditional Celtic knotwork design. 2 5/8" x 2" x 1 1/8". My wife loved the bracelet, it is a little small but fit her perfectly, she cant wait for the celtic pendent necklace to come in the mail. Good quality, solid craftsmanship, pewter. Great product and affordable price, thanks BUDK! This is a nice Celtic piece of jewelry and a great buy for the money! My daughter is very pleased with this bracelet and loves to wear it along with the other celtic items also. Great Bracelet! Origionally I didn't know that TS was in Georgia (and I'm in Cali) so I was a bit miffed about the shipping time, but now that I know that it's across the country I'm kind of blown away it got here so quickly! Beautiful design and it's a bend fit so it will fit pretty much any wrist. I've heard complaints about the center gems on the Celtic bracelets but mine is nice and snug and looks great:) Will deffinatly be buying from TrueSwords again!